Before getting started, it's important to realise two important things: intelligence comes in many forms, and intelligence alone doesn't make a good pet. While some dog breeds are full of energy and eager to please, others are slow and steady but no less smart. Intelligence is not the only factor that should be considered when choosing a pet, you also need to understand the natural traits of your dog and how particular smarts are channelled. For example, it's no use having an ultra-smart working dog if you don't have the time or energy to exercise and train them. 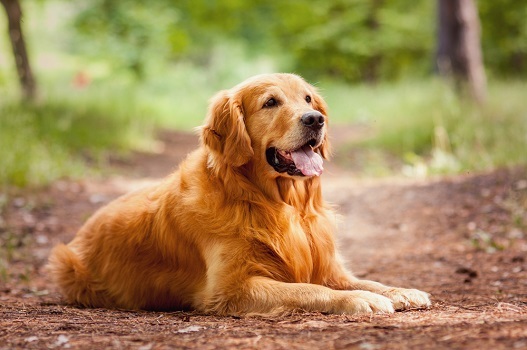 The humble Golden Retriever is one of the world's smartest and most beloved family pets, with this breed also recognised for its gentle and loving nature. According to a survey of almost 200 dog-obedience judges released by psychologist Stanley Coren in his book 'The Intelligence of Dogs', Golden Retrievers have a well-rounded intelligence that makes them good at whatever they do. Whether it's hunting, serving as guide dogs, or working in search and rescue, this strong and loyal breed is known for being both serious and downright silly. German Shepherds are another highly productive dog breed, with these large and muscular animals serving as police dogs, medical assistance dogs, and therapy dogs just to name a few of their noble positions. German Shepherds like to be very active, however, with regular mental and physical exercise needed to keep them in good spirits. If you have the energy to train them properly and keep them stimulated, consistent obedience and intelligence are pretty much guaranteed. While the world's smartest dogs are generally large in size, the cute little Papillon is an exception to this rule. According to the American Kennel Club, this friendly breed often takes home the top prize at competitive agility trials, with this toy dog managing to be both dainty and highly alert at the same time. Papillons are curious, quick and athletic without being shy or aggressive, making them an ideal pet for people who want a smart dog in a small package. Poodles are another rather small but clever breed, with these curly coated cuties taking out the silver medal for working intelligence in Coren's survey. While all of the dogs mentioned in this article are smart enough to follow commands and take on specific jobs, the title of world's smartest dog has to go to the Border Collie. These intelligent workaholics are both muscular and nimble, with an intense stare that almost begs for attention and training. According to Coren, Border Collies are able to learn new commands in under five seconds and follow them at least 95 percent of the time. If there's a downside to this breed, it’s the energy level that's required to keep them happy, which is why they perform so well as sheepdogs and in other working roles.